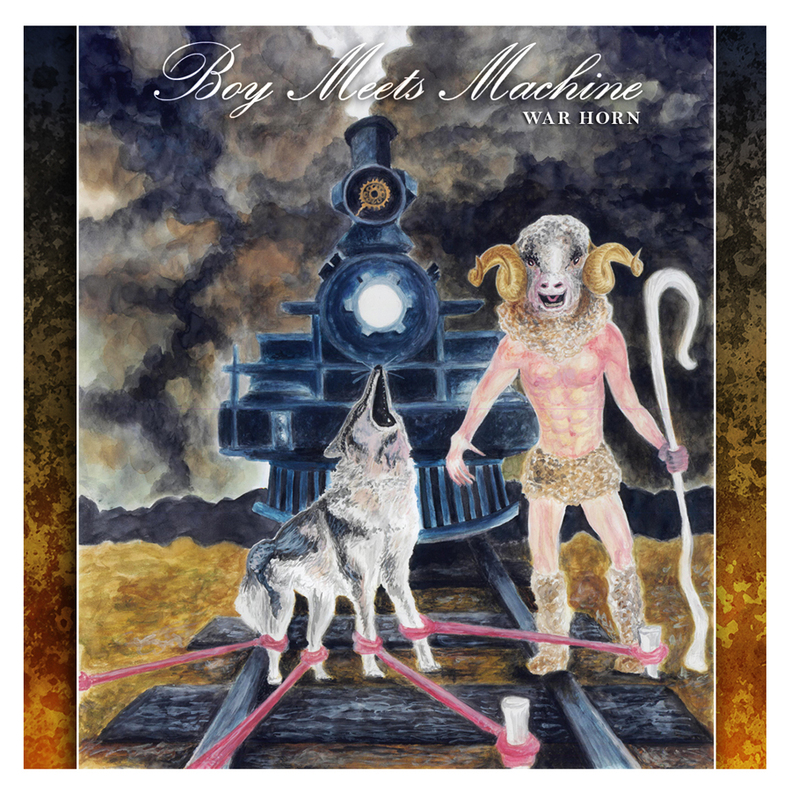 New Jersey Prog-rockers, Boy Meets Machine have announced a July 24th release date for their upcoming full length, War Horn. The album boasts thirteen roaring tracks spanning the sonic spectrum. There is something for everyone on this release, as it contains elements of metal, prog-rock, jazz, funk, and alternative blended with a savvy pop-sensibility. Vocalist, Joel Monet soars over a whirlwind of intricate guitar work and polyrhythmic drumming, and expresses songwriting maturity well beyond his years. The album is sprinkled with blistering fusion-shred leads courtesy of Colabelli, and doused with subtle textures woven by Mentz. Nivare’s deft drumming ability along with Monet’s groove oriented bass playing makes for a fearsome bottom end. War Horn definitively blazes its own trail in a stale rock environment desperately crying out for innovation. Boy Meets Machine is sure to turn heads with this release.